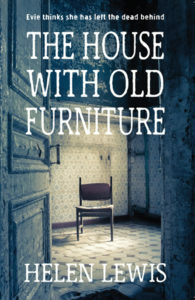 ‘The House With Old Furniture’ hasn’t exactly rushed into existence. It’s wandered around a few children and finally found its way home after five years in the wilderness. I literally stumbled upon the inspiration for this story shortly after my family moved to Pembrokeshire twelve years ago. Whilst on a walk with our two boys in the woods that surround our home, we discovered the remains of a cottage. If we’d been in a hurry, and I hadn’t got my boot stuck in the stream, we would have completely missed it. Only parts of three walls remained, ferns, moss and ivy rendered most of it invisible and at some point a huge tree had fallen straight through the middle of it finishing off most of what was left. It took a bit of imagination to picture a cottage amongst the undergrowth, almost like staring at one of those coloured dot pictures trying to find the hidden image. Whilst the boys waited for me to free my boot, they scrambled over the ruins of the little house unearthing all kinds of everyday treasures: the rusty end of a bedstead, a rotten milk churn, and old bottles to name but a few. As we all walked back home through the woods I knew there was a story to be told about that little cottage. So in some down time – broadband down time – telephone wire down time, you know what it can be like living in rural Welsh Wales! I began stitching together this tale, creating the characters that live in it, Jesse, Finn, Andrew and Evie. I wanted my characters to unpick the mystery within The House With Old Furniture for the reader, and decided to introduce an old journal that would slowly unlock the secrets. 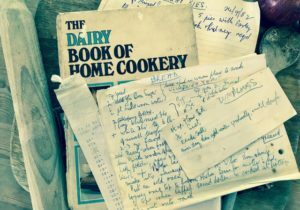 Bizarrely the idea for the journal came from a very old and decrepit cookery book that once belonged to my Nan – ‘The Dairy Book of Home Cookery’. When Nan died, Grandpa, determined to remain independent and ‘carry on’, treated it a bit like a bible. And somehow I have now inherited it. It’s full of his notes, scribbled all over the printed recipes, on how things should really be cooked and it’s packed with his own concoctions jotted down on the backs of old yellowing receipts and envelopes. I love it. It’s a real treasure of mine even though the spine has fallen and most of the photos have turned blue and green. And I’m thrilled that some of Grandpa has made it into the novel, I used his actual hand-written recipes for bread and dumplings as backgrounds on the chapter divider pages. I can hear him chuckling about that! As my favourite writer, Joanne Harris wrote in her novel Blackberry Wine: “The process of writing is a little like madness, a kind of possession not altogether benign.” It was quite a relief to finally finish The House With Old Furniture to get all those complicated, intense characters out of my head and on to paper safely trapped between the my Grandpa’s recipes! Thank you so much, Helen. The book sounds absolutely fascinating and I love the story of your nan’s cookery book. You could win one of three ebooks (open internationally) or three paperbacks. Thanks, Tracy. I agree the title is so intriguing. I wish I could have got around to reading this book before today’s post as it does sound like such a good read. This sounds like a really interesting book, will definitely add it to my wish list! It does sound great, doesn’t it? Thanks for commenting, Kate. This looks wonderful and my kind of book. That’s great, Gail. Thanks for visiting and reading the post. 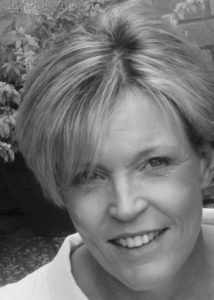 I was born and bred in rural West Wales, (Ceredigion) although currently exiled in England and missing my homeland so much – so I was really intrigued by the premise of this book – especially as it includes my other love – horses! It sounds like a great story, definitely on my tbr list! Congratulations on your release and wishing you much success. Thanks for commenting, Hywela. I hope you enjoy the book if you read it. It sounds like it’s right up your street.